She doesn’t ask. She demands. She makes outrageous requests and she’ll take anything she wants if she thinks she can get away with it. 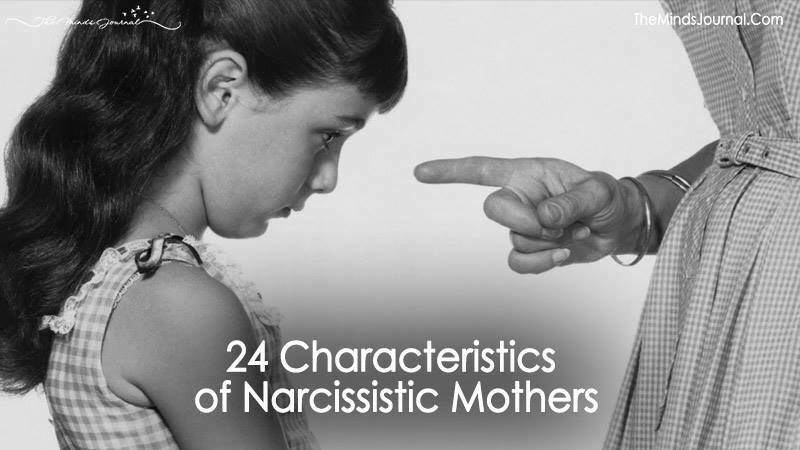 Her demands of her children are posed in a very aggressive way, as are her criticisms. She won’t take no for an answer, pushing and arm-twisting and manipulating to get you to give in. This sounds a little like psycho-babble, but it is something that narcissists all do. Projection means that she will put her own bad behavior, character and traits on you so she can deny them in herself and punish you. This can be very difficult to see if you have traits that she can project on to. An eating-disordered woman who obsesses over her daughter’s weight is projecting. The daughter may not realize it because she has probably internalized an absurdly thin vision of women’s weight and so accepts her mother’s projection. When the narcissist tells the daughter that she eats too much, needs to exercise more, or has to wear extra-large size clothes, the daughter believes it, even if it isn’t true. However, she will sometimes project even though it makes no sense at all. This happens when she feels shamed and needs to put it on her scapegoat child and the projection therefore comes across as being an attack out of the blue. For example: She makes an outrageous request, and you casually refuse to let her have her way. She’s enraged by your refusal and snarls at you that you’ll talk about it when you’ve calmed down and are no longer hysterical. No matter what she’s done, she won’t ever genuinely apologize for anything. Instead, any time she feels she is being made to apologize she will sulk and pout, issue an insulting apology or negate the apology she has just made with justifications, qualifications or self pity: “I’m sorry you felt that I humiliated you” “I’m sorry if I made you feel bad” “If I did that it was wrong” “I’m sorry, but I there’s nothing I can do about it” “I’m sorry I made you feel clumsy, stupid and disgusting” “I’m sorry but it was just a joke. You’re so over-sensitive” “I’m sorry that my own child feels she has to upset me and make me feel bad.” The last insulting apology is also an example of projection.